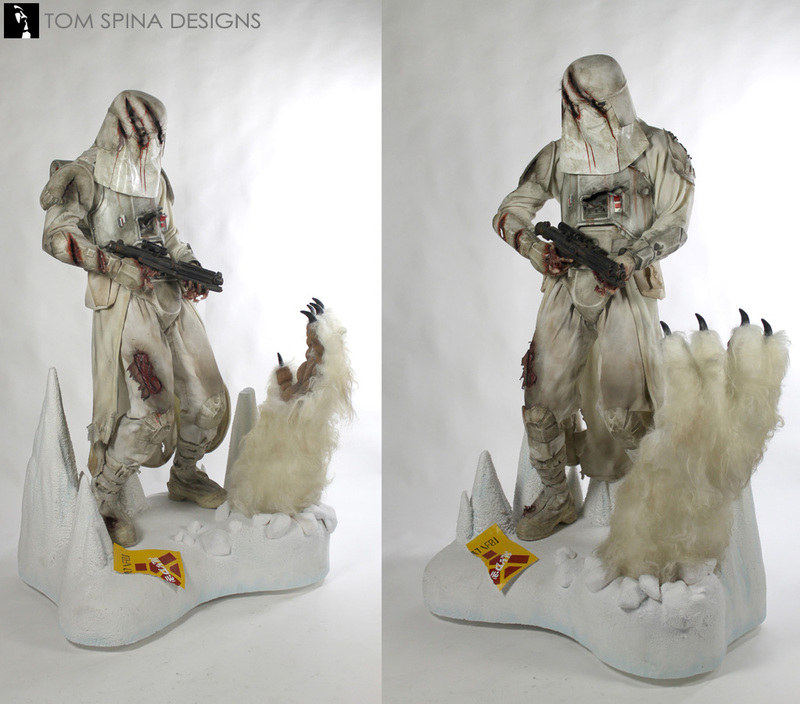 A fan’s Star Wars Snowtrooper costume turned into a life sized custom zombie statue! 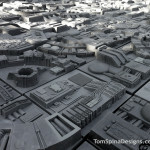 Our clients always have wonderfully fun ideas and challenges for us and this project was no different. 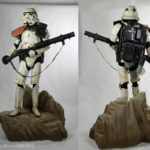 Our client had an authentic styled Star Wars Snowtrooper costume, like the one from our friends at Anovos, and wanted to create a very unique display for his home. 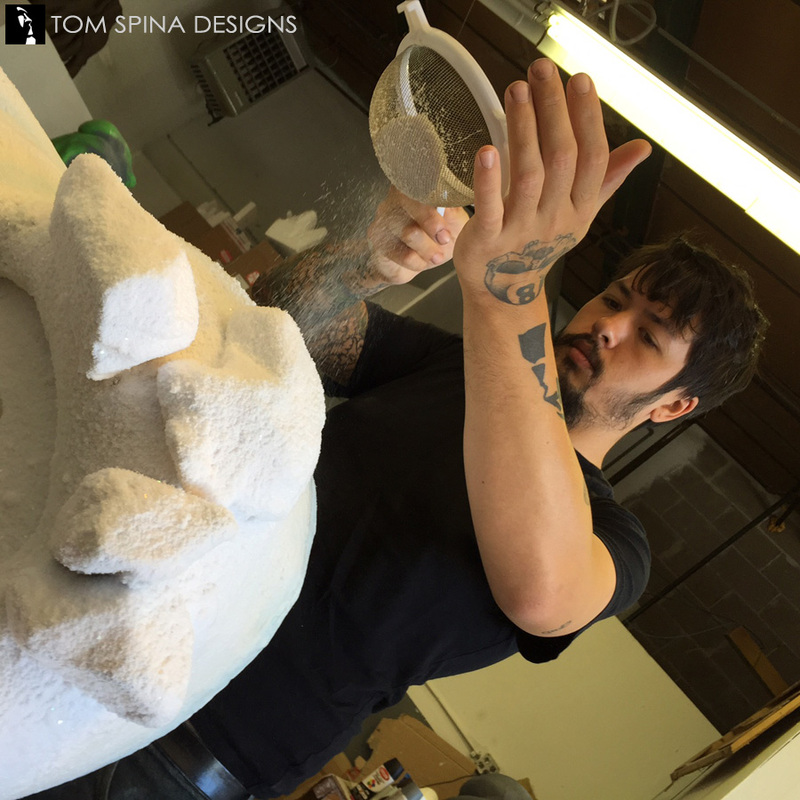 The result is the statue you see here! 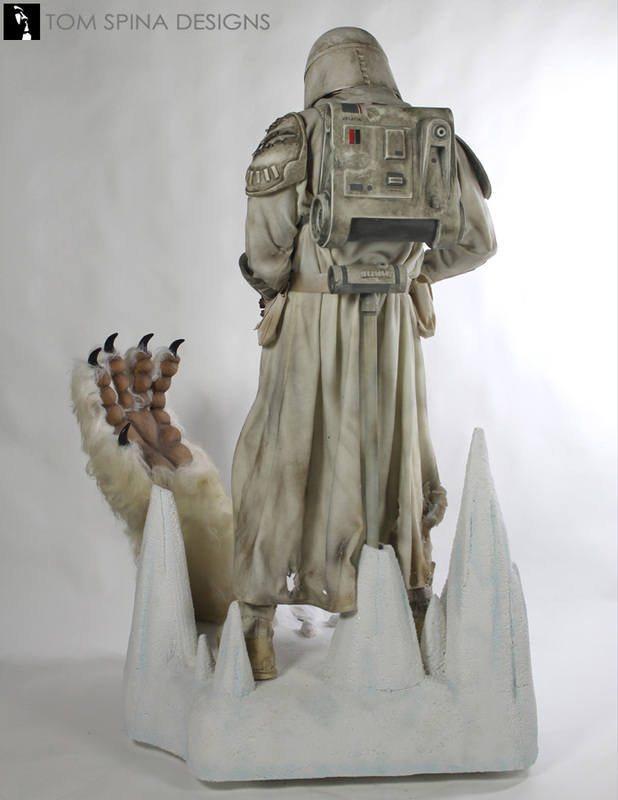 After discussing the project with our client we came up with a display inspired a fan favorite deleted scene from The Empire Strikes back. 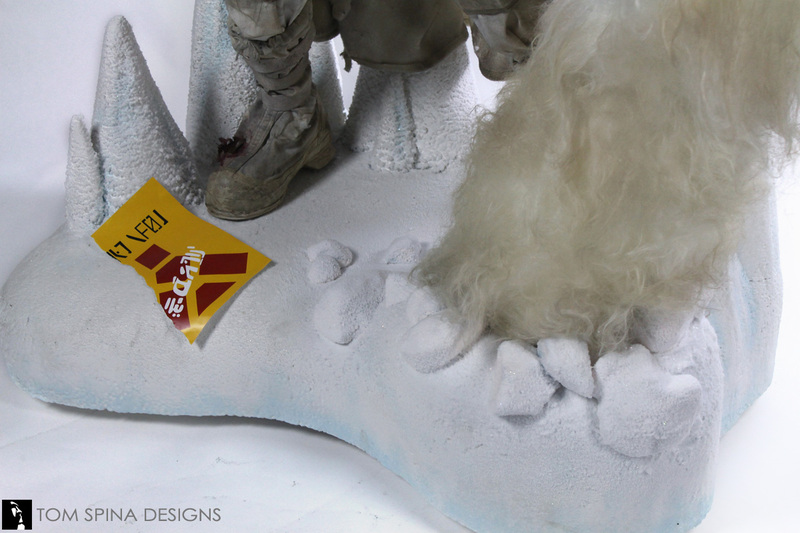 In the scene C-3PO rips a wampa warning sign off a door, tricking the Snowtroopers to open the door and be attacked by the wampa inside. The idea became what would the Snowtrooper look like after such an attack? 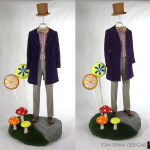 To support our client’s costume we created a customized fiberglass mannequin in a pose unique to this display. 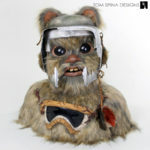 We also modified one of our pre-existing bust sculptures with custom glass eye and a real look of terror, so that his fear would show through under his nearly destroyed helmet. 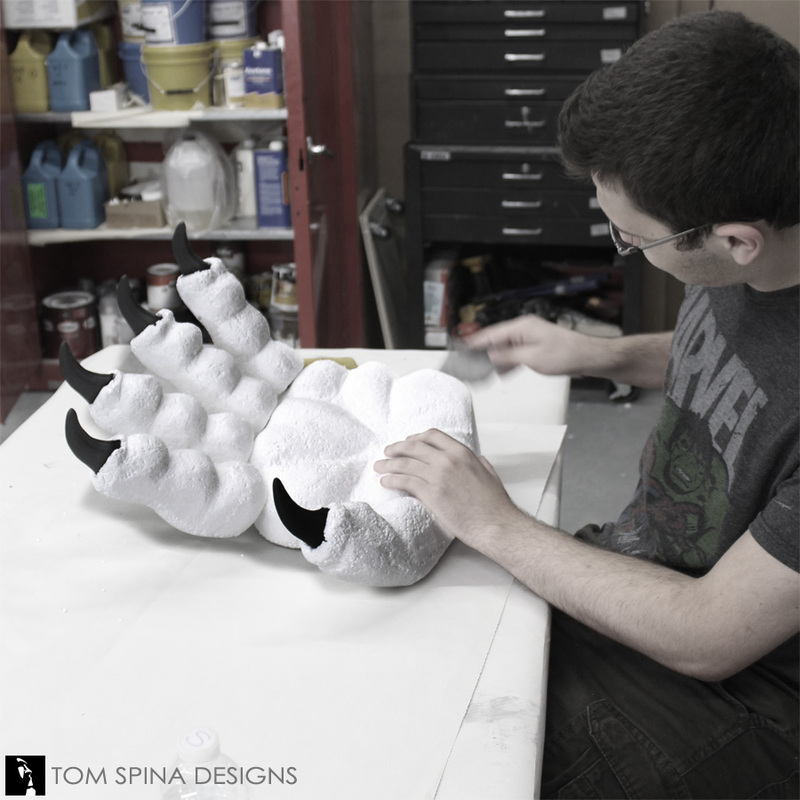 Then we did something we very rarely do to movie costume, we began to destroy the costume! 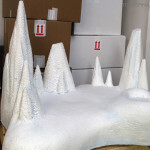 We created realistic claw marks and tears making sure that each mark would make sense as being caused by the snow monster. 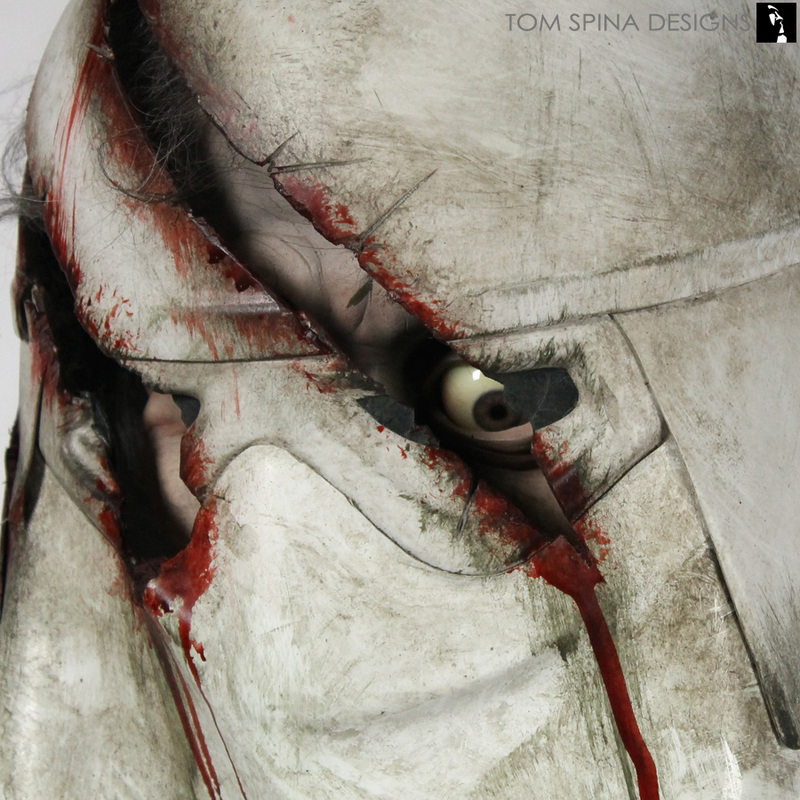 We added fake blood and dirt, as well as some areas of torn flesh under his costume for a truly gruesome display. 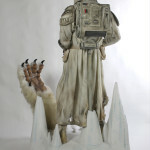 We created an EPS foam carved base to look like the icy caves of Hoth, We even added frozen stalagmites to help disguise the mannequin’s support post (which connects at his lower back). 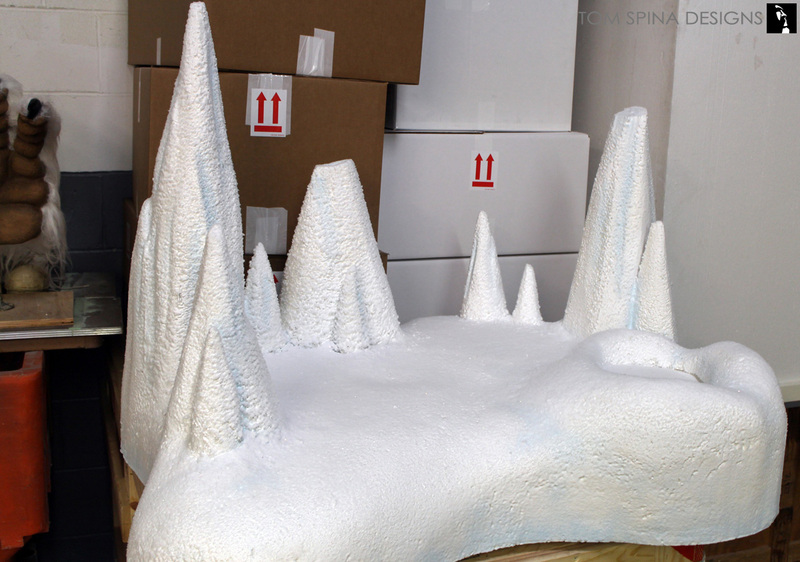 The base is finished with a flocking style snow added over our custom paint job to give to the look of fresh snow and icy cool caves. 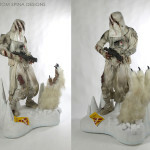 To add a dynamic element to the base we created a custom sculpted wampa claw and arm, covered in special effects fur from our friends at National Fiber Tech, bursting up through the snow to attack our poor Snowtrooper statue once again! 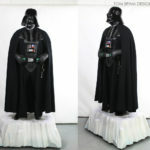 Have an original tv or movie costume in need of a custom mannequin? Email or call today and let’s discuss your project!